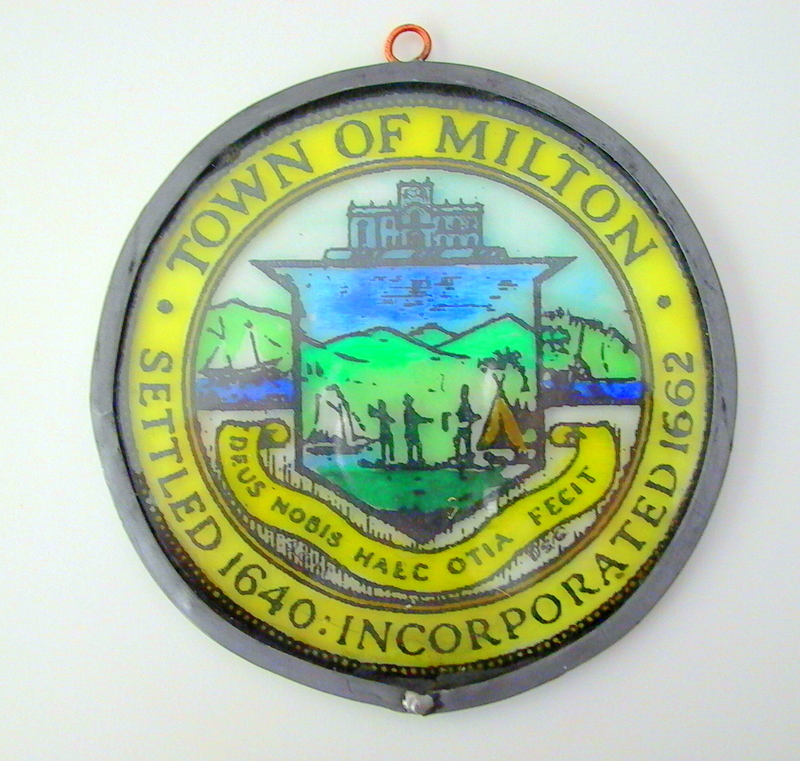 Whole house water filtration – Milton, Mass. There are various types and sizes of whole house water filtration systems available to address potential water quality issues experienced in Milton, Massachusetts town water or well water. Not only is matching the right technology important, but also sizing the system to meet the water usage demands of your home is very important. 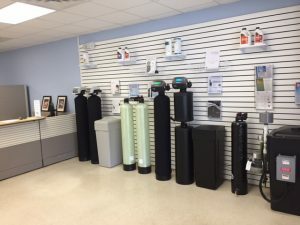 Additionally, a professionally plumbed system is also critical as well as maintenance of the system throughout the years to optimize the useful life and proper functioning of your new equipment which will process thousands of gallons of water per month. While symptoms of water quality issues such as bad odors & taste, staining of laundry, bathroom fixtures, etc. are indicators of problems, the preferred starting point is to get a water test to identify the minerals or contaminants in the water and at what quantity they exist. This will lead to an effective system recommendation and route to providing your home with excellent water quality. While certain minerals & contaminants can be tested on-site (iron, hardness, pH, total dissolved solids, chlorine level), health threat items like radon in water, arsenic in water, nitrates and others should be properly sampled and brought to a certified laboratory for testing that requires specialized equipment. 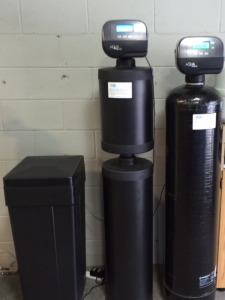 A water softener is a type of whole house water filtration system that is designed for removing hard water minerals (magnesium & calcium) as well as dissolved iron and manganese from the water. For water with high levels of iron or manganese (“the stainers”), an “up-flow” water softener is recommended to prevent mineral build-up in the bottom of the water softener. Also, high efficiency water softeners that are more efficient with both water and salt usage are preferred. 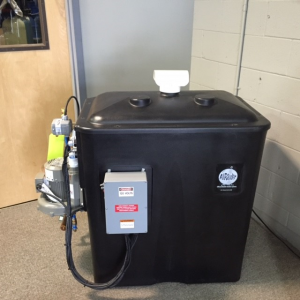 If the main concern is chlorine levels, bad taste & odor, a system which looks similar to a water softener but contains activated carbon media inside will address this problem and improve water throughout the home. There are various types of bad odors and tastes that you may experience in your water. see the link at https://h2ocare.com/bad-odor-taste-water/. 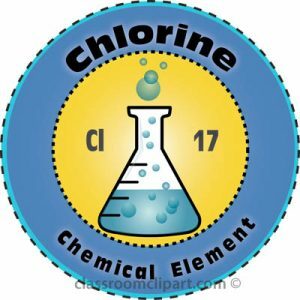 If your home is supplied by town water, you may an notice odor typically associated with Chlorine. 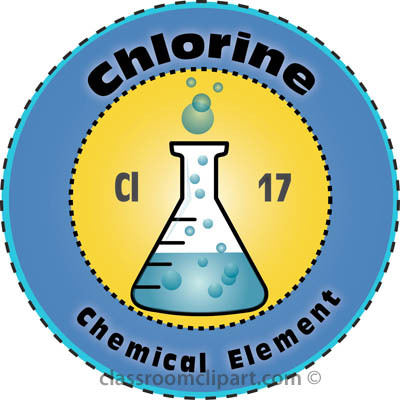 Chlorine is used for disinfection purposes by the town to control microorganisms including bacteria and others that may be present in the water distribution system. 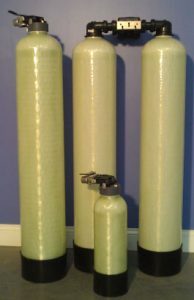 Carbon water filtration systems are effective at removing chlorine and the associated taste and odors that come with it. These systems can either be installed at the point of entry in your home, typically in the basement, or at a point of use for drinking water only. 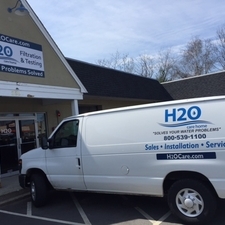 H2O Care is an established Massachusetts based, full service water filtration and testing organization originally formed in 1989 with offices in Hudson & Middleton, MA and a service depot in Plymouth, MA. See our written and published articles on common regional water problems in Water Technology Magazine by going to our website, www.h2ocare.com and going to the publications photo on the home page or the tab at the top of the home page. Contact us by email at service@h2ocare.com or call us at 800-539-1100.